They offer the possibility to make multiple and individual cemented prosthesis with difficulties in their angles. They may be carved and polished, making it possible afterwards, to take images of stumps, as if they were a natural teeth; consequently, the prosthesis is made and cemented. Another option is to take the image directly to the implant and send it to the laboratory. 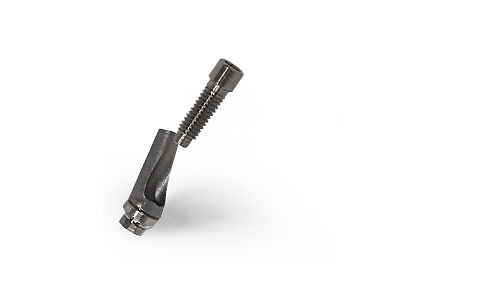 Titanium screw + titanium angled-body with anti-rotational fastener. Series 4 – Thread 2,3mm. Series 5 – Thread 2,3mm.